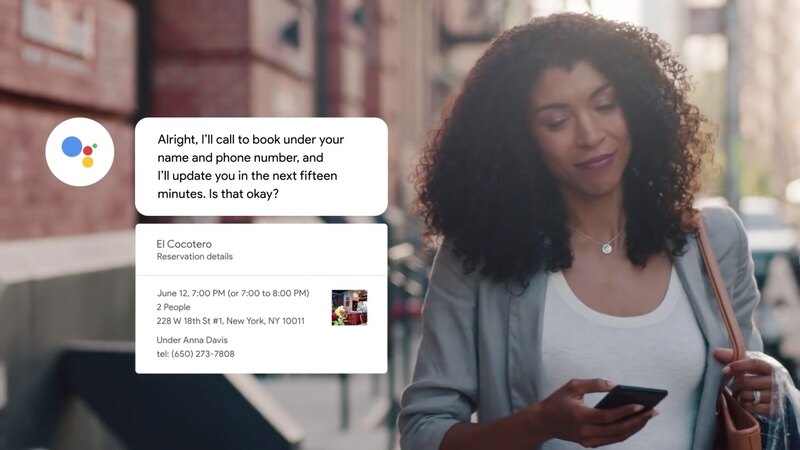 Google’s creepy human-sounding AI that can book an appointment on your behalf with business such as eateries is currently being rolled out to iPhone customers in the US. Announced at last year’s Google I/O developers conference, Duplex used to be exclusive to Google’s own Pixel smartphones, but not anymore. About a month ago, the search giant said it would soon bring the feature to iPhone. And now, the company’s support document indicates that Duplex is available on iPhone in the US through the free Assistant app. The feature is available in 43 US states. If you have the Google Assistant app installed on your iPhone and live in one of the supported cities in the United States, you can use this feature by saying something along he lines of “Book a table at [restaurant name]”. This will prompt Assistant to place the call using Duplex and introduce itself as a human-sounding AI helper to the other side. To learn more about the ins and outs of Duplex and hear its erringly human voice, especially when Assistant casually drops “mmhmmm” in the conversation, check out our previous article. On a related note, John Legend’s voice is starting to roll out today as a cameo on Assistant for iOS and Android, available in English for a limited time in the US. All other responses will yield one of the regular Assistant voices. Have you tried Duplex on your iPhone, and if so, how did you like it? Chime in with your thoughts in the commenting section.